Trolls have targeted Parineeti Chopra once again. Parineeti Chopra has been a soft target of trolls. Earlier the actress was brutally trolled for posing with a Koala, she was also fat-shamed at a couple of occasions and was recently trolled for wearing a tight blue dress during the promotions of 'Namaste England'. The actress is making headlines once again and this time it is the shade of her hair colour which has caught everyone's attention. As per reports, Parineeti had coloured her hair in a shade of burgundy for her upcoming film 'Jabariya Jodi' starring Siddharth Malhotra. 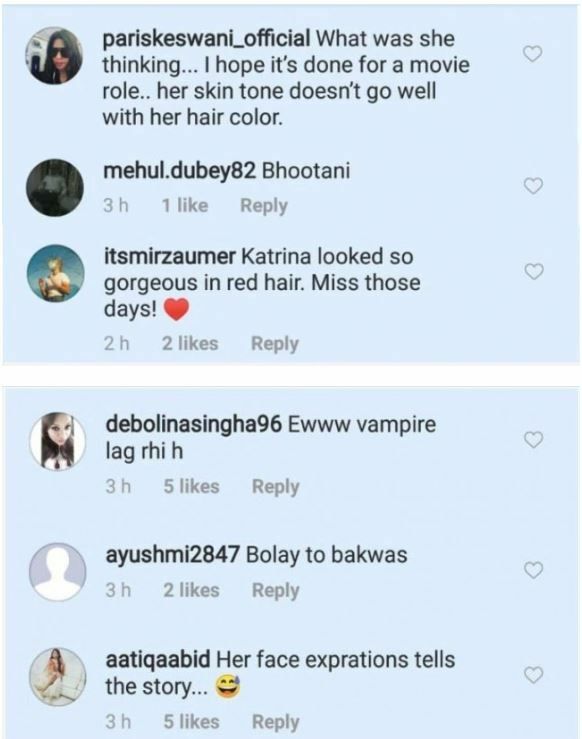 The actress' new hair colour doesn't seem to have gone down well with netizens who trolled the 'Hasee Toh Phasee' star and compared her to a vampire and some even stated that her complexion didn't match with the hair colour. 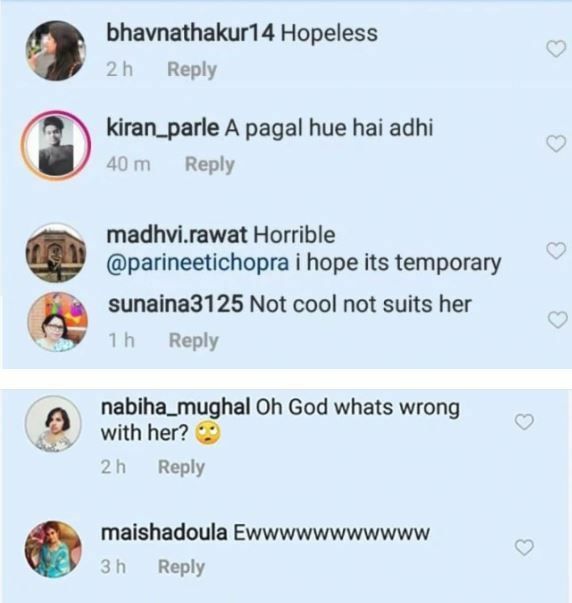 But seems that Parineeti is not affected by these trolls and continues to share her pictures in her newly coloured Burgundy hair. 'Jabariya Jodi' was earlier titled 'Shotgun Shaadi' and is reportedly based on 'pakadwa vivaah' which is why the makers decided to change the title of the movie to 'Jabariya Jodi'. The movie is helmed by Prashant Singh and is co-presented by Balaji Telefilms and Karma Media Entertainment. Parineeti who shares a close bond with her cousin Priyanka Chopra recently attended her roka with Nick Jonas which was held at Priyanka's Juhu residence. The 'Ishaqzaade' star shared a picture with Priyanka on her Instagram and wrote a heartfelt message for her sister. In her post, the actress said, "Today I witnessed magic and a fairytale ... When we were kids, mimi didi and I used to play "ghar ghar". We would pretend to be shy brides, have imaginary children, and serve tea to our husbands! cheesy, but its because we always believed in the magic of love and hoped we would both find that perfect man for us one day!! Today there was no pretending. I can't think of a more a perfect man for her. Like I said this morning, there are two ways of judging a human being. One - travel with them, and two, eat with them. Nick, I have done both with you. And so I know you're perfect for her!! Love her, because she loves you like mad! Protect her, because of shes strong, but a soft soul inside. I love you both and wish you all the happiness forever!!!!! HAPPY ROKA AND FUTURE WEDDING!! @priyankachopra @nickjonas." Take a look at her post here! Meanwhile, Parineeti has wrapped up her project 'Namaste England' starring Arjun Kapoor. 'Namaste England' is helmed by Vipul Amrutlal Shah and is said to be a sequel to 'Namaste London' starring Akshay Kumar and Katrina Kaif. The 'Ishaqzaade' actress is currently shooting for Jabariya Jodi'. The actress is also a part of the Akshay Kumar starrer 'Kesari' and Arjun Kapoor starrer 'Sandeep Aur Pinky Faraar'.